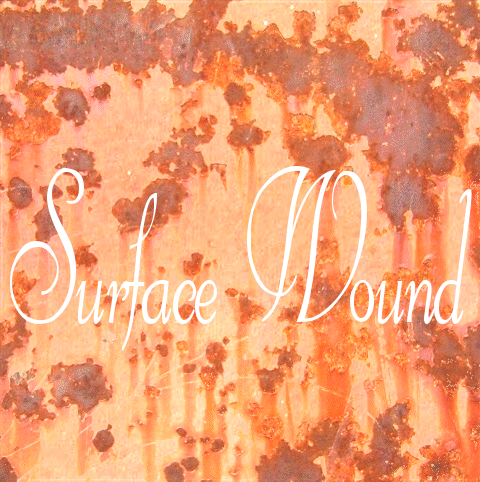 Sandy and Tommy from TMJ teamed up with SKiP from the Wynona Ryders for this first Surface Wound E.P. Recorded over a few nights in 2004 for the most part. Bass and Drums recorded live at Coyote Recording Studios (Billburgh, NY) and engineered by Jason Spittle. Guitars and Vocals recorded live at The Loft (Bronxville, NY) and engineered by Roy Matthews (A/K/A Roy Bartholomew Matthews Peterson). Occasional guitar gesticulations by Sandy. Roy mixed the EP, aided in no part by the useless suggestions of Sandy and Skip. Clicking the black button below gets you high-quality (320kbps) MP3s of all the songs on the E.P.